If someone told me that I would have a reason to bring up the names of Pope Francis and Supreme Court Justice Anthony Kennedy in the same sentence, I would have highly doubted it. But, here it is. 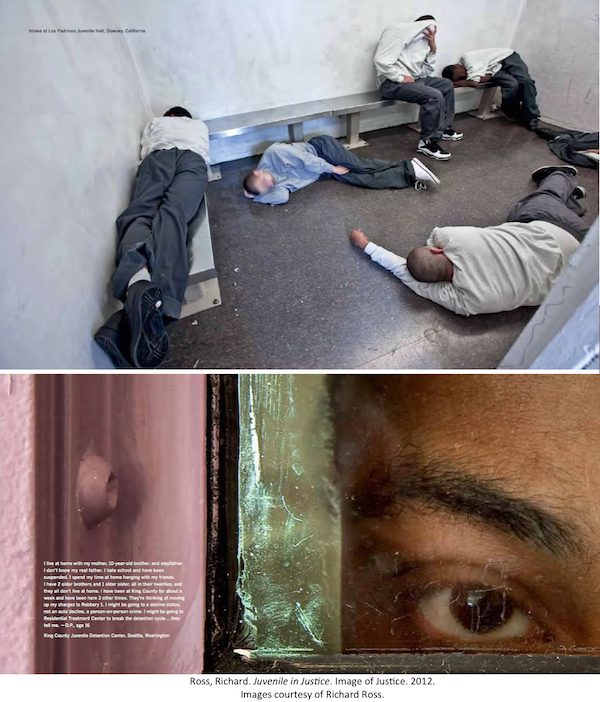 A NY Times editorials article, "Justice Kennedy on Solitary Confinement", talks about Justice Kennedy addressing "what has become one of his most pressing concerns: America's broken criminal justice system in general, and prolonged solitary confinement in particular." Making his point, Justice Kennedy quotes the Russian writer Fyodor Dostoyevsky: "The degree of civilization in a society can be judged by entering its prisons." A few years ago, Pope Francis surprised many of us by bringing up the name of Dostoyevsky, as well. In an interview, the Pope claimed him as his favorite writer. After all, that shouldn't be a big surprise, considering the issues of justice and morality, which are central themes of Dostoyevsky's writings. In his famous novel, The Brothers Karamazov, one of the characters says that the whole world is not worth saving if the price is one tear of an innocent child. At this point, I urge you to check out the Art Talk website to see the photos by Richard Ross accompanying my program -- the photos depicting children incarcerated in American juvenile detention facilities. 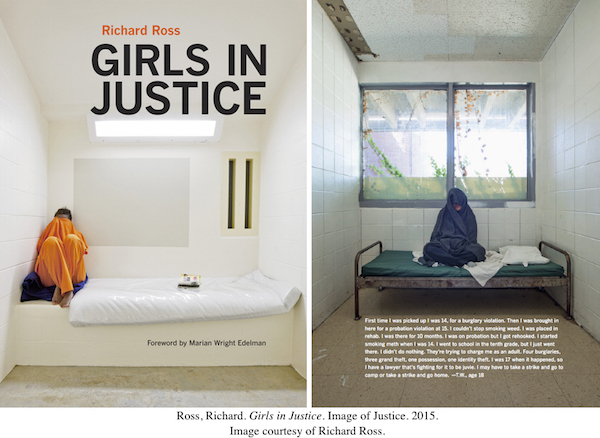 Distinguished Professor of Art at UC Santa Barbara, Richard Ross published in recent years two important photography books relevant to this subject -- in 2012, Juvenile in Justice, and then a follow-up in 2015, Girls in Justice. Be warned, some of these images can break your heart. 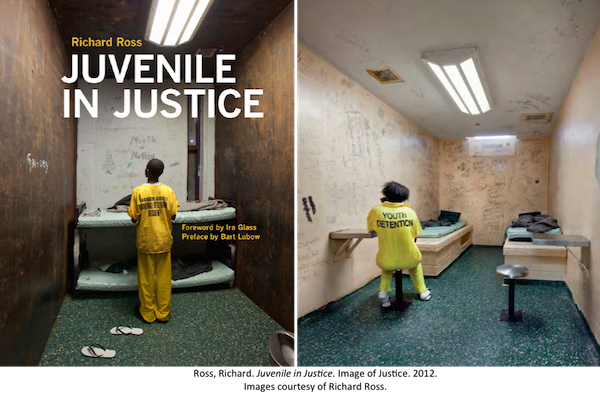 Ross was able to gain access to various American juvenile detention facilities, where kids as young as 10 are being incarcerated for an unreasonably long period of time -- sometimes even in isolation. 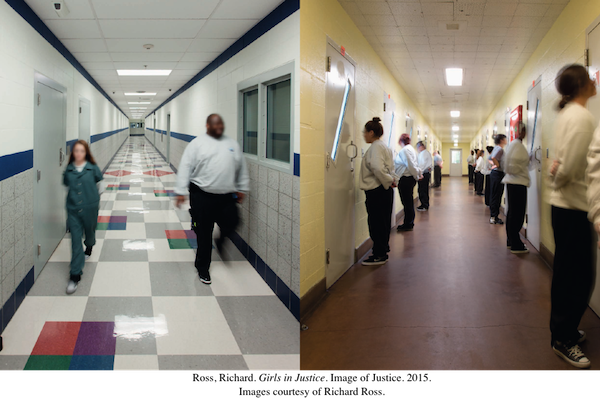 Part of the deal with detention authorities was that the kids' faces in these photographs should be blurred or not seen at all. 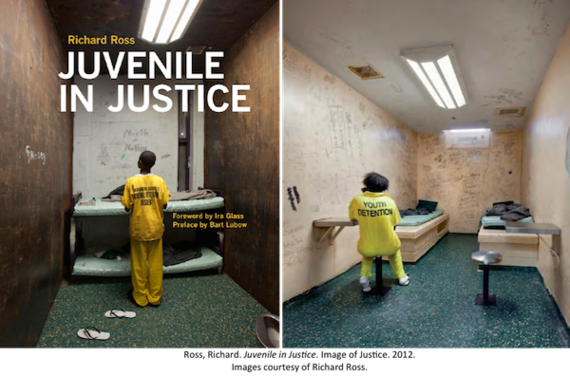 Still, their body language and the way Ross composed his images speak loudly about the emotional devastation of this experience. 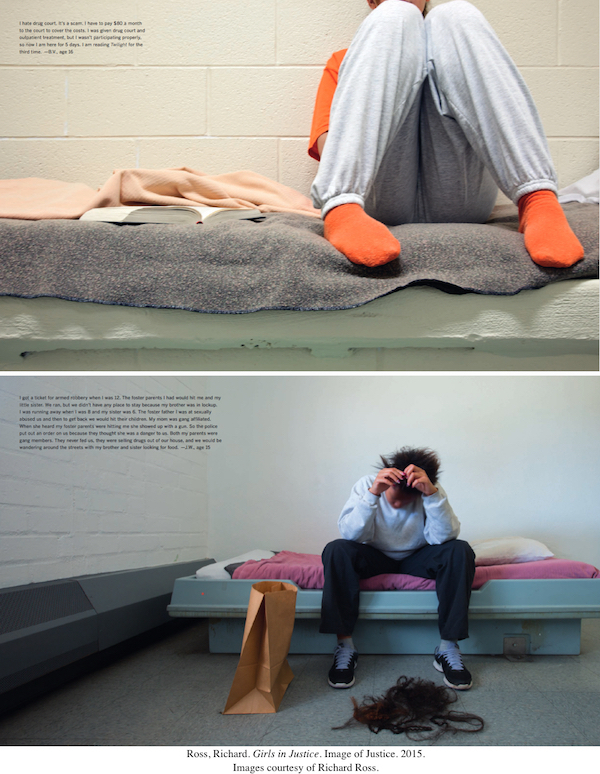 These images walk a fine line between documentary and an artistic statement, without diminishing the power of either. 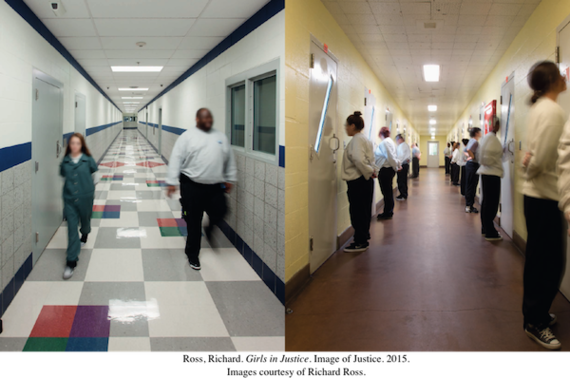 As a result, we are compelled to look at them, and to look at them again, paying attention to every detail, trying to comprehend what is going on with these kids. 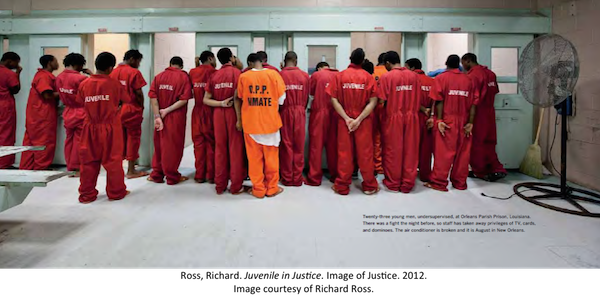 I wonder what Pope Francis and Justice Kennedy would have to say about these photos. I've heard Richard Ross passionately debating this issue with the theater director and UCLA Professor Peter Sellars twice -- last year, in a UCLA auditorium, and recently at The Hammer Museum. But, that is not enough. 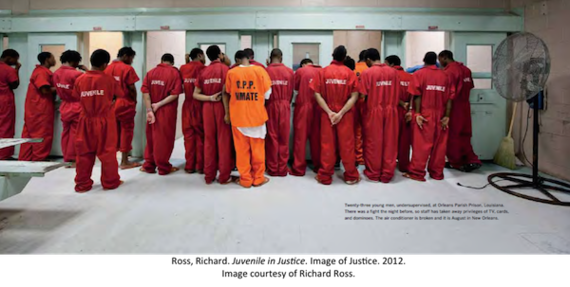 It's time to see these powerful photographs in a well-organized exhibition here, in one of Southern California's museums.